The initiative’s primary aim is to support projects – such as Baylor’s new “Building Bridges to the Future” project – that help congregations design, test and implement new models for nurturing the religious lives of middle and high school youth and for engaging them more fully in the congregations’ mission and ministries. 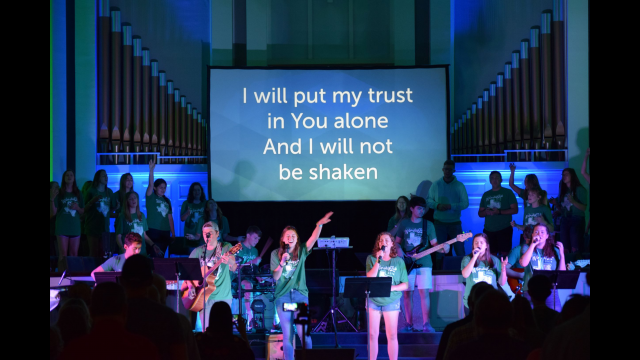 The grant to Baylor will enrich current programs in the Center for Christian Music Studies related to strengthening youth participation in worship, including the annual Alleluia Conference and Worship Lab. Also, the grant will help fund new programs for youth-focused spiritual formation and vocational discernment. “This Lilly Endowment grant will help Baylor’s Center for Christian Music Studies strengthen and support worship and music training for teenagers and their integration in worship leadership that is collaborative with older adults,” said Randall Bradley, D.M.A., The Ben H. Williams Professor of Music and professor of church music, who also directs CCMS and the church music program in the Baylor School of Music. Although the youth group model has served congregations well in the past, many church leaders are finding that it no longer serves youth and their families effectively. Recognizing the limitations and shortcomings of the youth group model, many youth ministers and other church leaders continue to implement it because they are unaware of viable alternatives. The centerpiece activities of the “Building Bridges to the Future” program will bring young, aspiring worship leaders to Baylor’s campus for hands-on music training and discussions regarding church ministry and vocations and spiritual formation in an intimate and inspiring setting, Bradley said. One of the largest components of the grant will be the development of partner congregations in the Houston, Austin-San Marcos and Central Texas areas. CCMS faculty will work alongside these partner congregations to identify young people and work with their mentors. In addition, Bradley is teaching a seminar this spring that focuses on intergenerational worship and building scholarship around the subject. 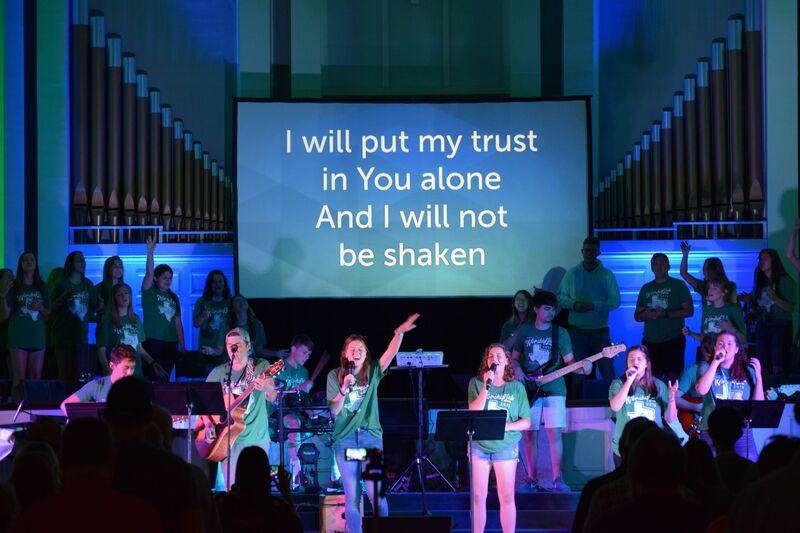 Assess how youth are currently connected to the music and worship ministries of “Building Bridges to the Future” partner churches, especially how they are participating in and learning worship in intergenerational contexts. Provide expanded music and leadership training sessions to prepare youth better for success in ministry roles, especially in music ministry. Encourage students to explore ministry vocations. Establish additional best practices for improvement of youth engagement in worship and spiritual formation activities by assisting churches to involve young people in the fuller worship life of the congregations. Disseminate findings from research and programming to the broader ministry community. As contemporary society changes at an ever-increasing pace, churches are left with important questions, including how worship will stay relevant in the lives of young people, said Gary C. Mortenson, D.M.A., dean of the Baylor School of Music and acting vice provost for administration. The Center for Christian Music Studies in the Baylor School of Music provides leadership in all aspects of Christian music. As a preeminent Christian music center, CCMS encourages church musicians to cultivate their God-given potential and endeavor to provide resources for their continued personal development. The School offers two doctoral programs: a Ph.D. in church music, which fosters the highest levels of knowledge and skill in the practice of church music and in research, and a D.M.A. for students who desire to have a strong performance component along with their studies in church music. For more information about the grant, contact Bradley at 254-710-2360 or Randall_Bradley@baylor.edu. Lilly Endowment Inc. is a private philanthropic foundation created in 1937 by three members of the Lilly family – J.K. Lilly Sr. and sons Eli and J.K. Jr. – through gifts of stock in their pharmaceutical business, Eli Lilly and Company. While those gifts remain the financial bedrock of the Endowment, the Endowment is a separate entity from the company, with a distinct governing board, staff and location. In keeping with the founders’ wishes, the Endowment supports the causes of community development, education and religion and maintains a special commitment to its hometown, Indianapolis, and home state, Indiana.